It is a state of the front entrance farm today. If it is waiting that the bud might attach on Earth when the yellow Kanokoyuri finally extends so much. There were a lot of small buds. I am glad that the bud was on, but will I make the flower bloom safely? Because sunny lettuce had been disposed of since the other day it has withered, I was stuck on the leaf is closely aphids, I worry that the virus is not infected. 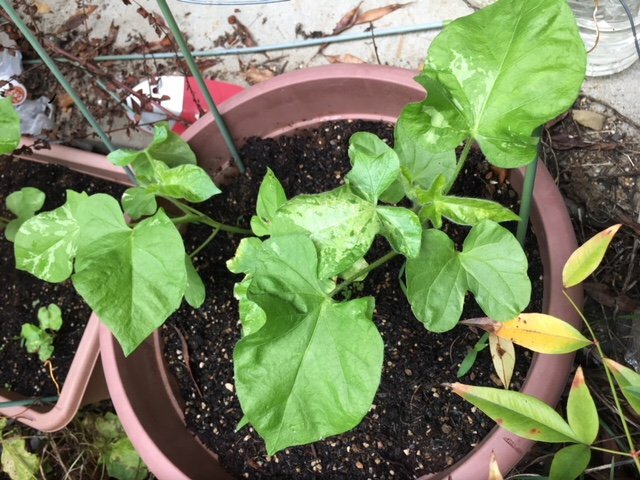 If the virus is infected and the disease is called Mosaic disease appears in the leaves and flowers in the disease spots, it seems that it does not heal. Therefore, I learned that the aphids had to be disinfected. The Morning Glory is growing steadily. However, because the climate changed greatly in the rainy season, the head is heavy, the body is heavy, and it has already exhausted the garden work. You got a 2.37% upvote from @upme thanks to @yadamaniart! Send at least 3 SBD or 3 STEEM to get upvote for next round. Delegate STEEM POWER and start earning 100% daily payouts ( no commission ).